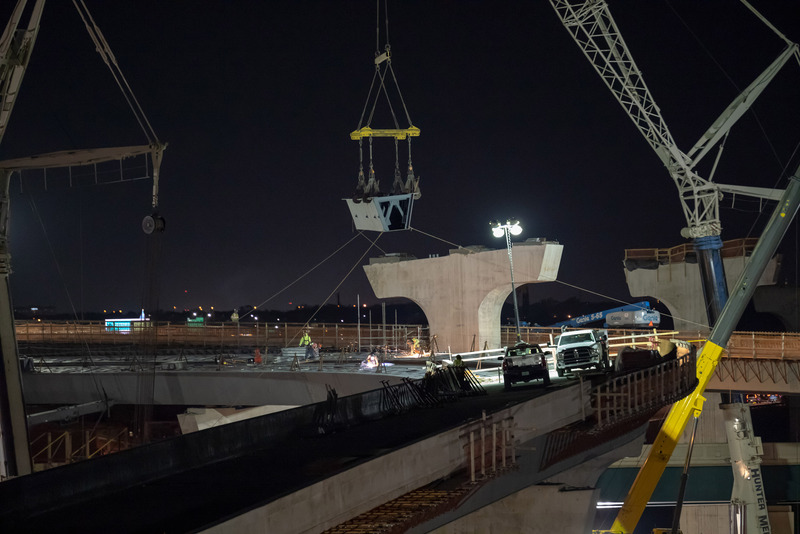 Nighttime crews capped the tallest pier on the entire I-4 Ultimate project when they set its first bridge girders in place during the weekend of December 7. Towering 120 feet above the ground, the pier stands near the intersection of Division Avenue and Carter Street. It supports the westbound State Road (S.R.) 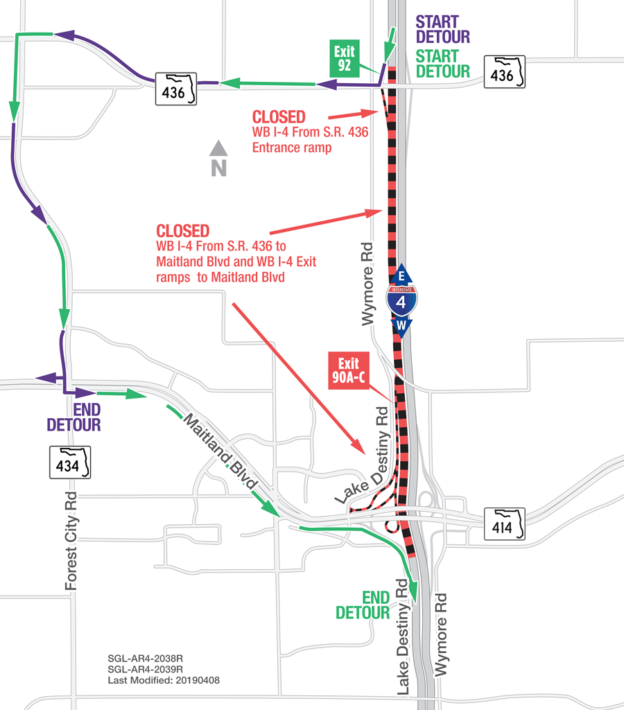 408 flyover ramp to westbound Interstate 4 (I-4). 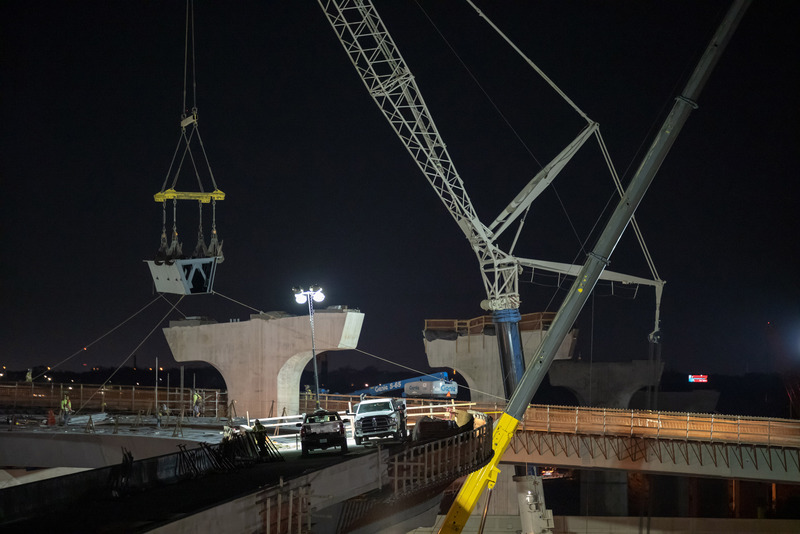 At the tallest point, this flyover ramp crosses over the eastbound and westbound S.R. 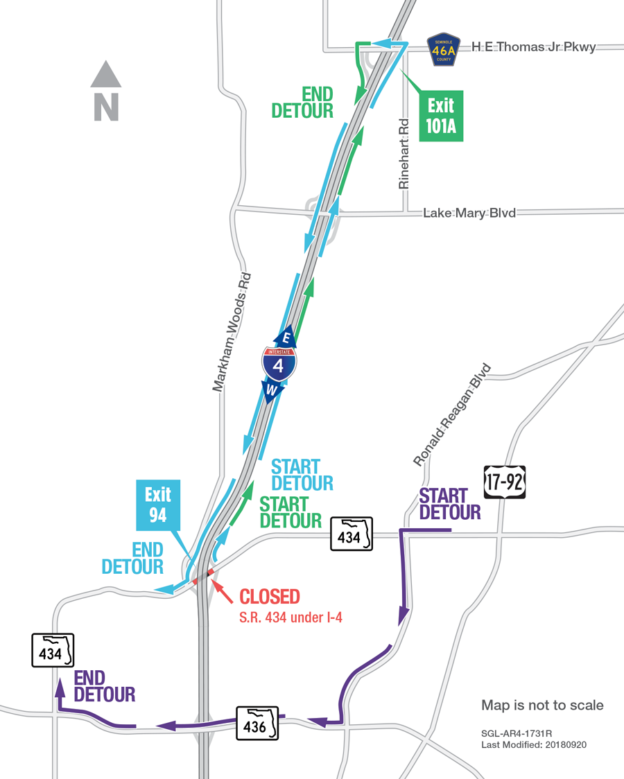 408 travel lanes, as well as two other flyover ramps — westbound I-4 to eastbound S.R. 408 and eastbound I-4 to westbound S.R. 408. 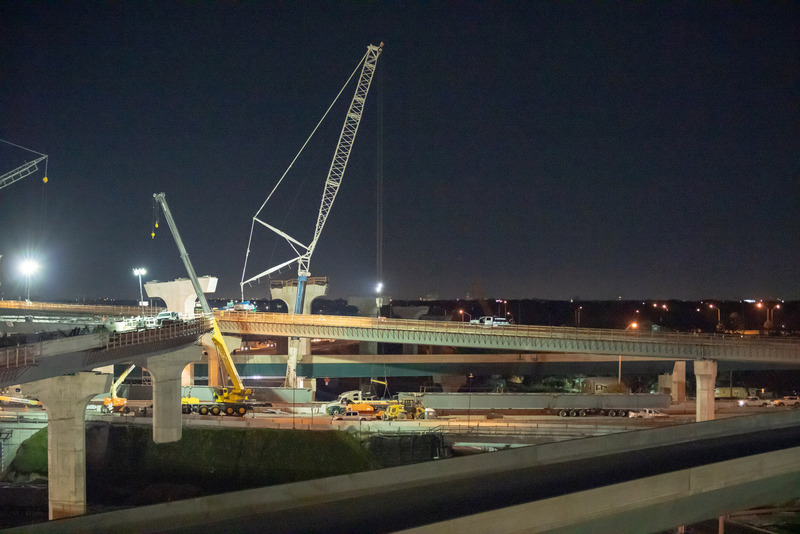 In addition to being the tallest point for the I-4 Ultimate project, this new flyover ramp will also solve a decade-old curiosity for many Orlando residents. 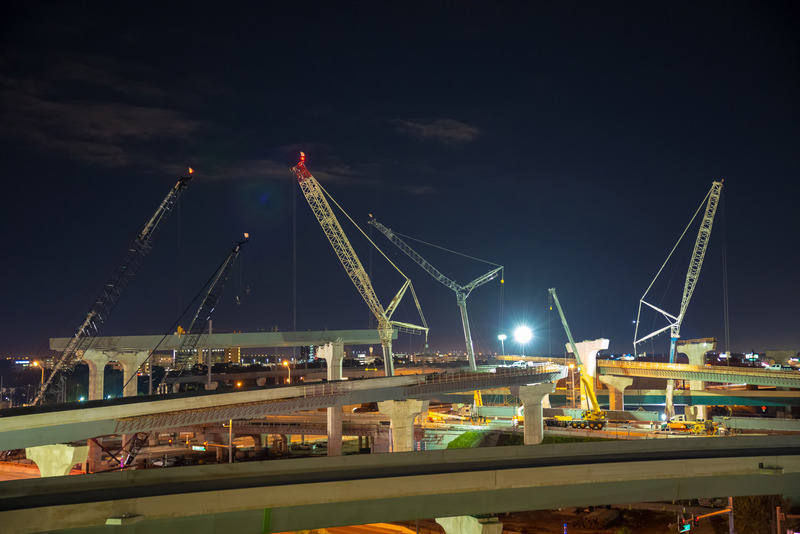 In 2008, interim improvements at the I-4 and S.R. 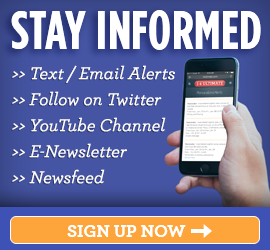 408 interchange introduced a new westbound S.R. 408 ramp to eastbound I-4 and created a stub ramp that looked like a bridge to nowhere. The westbound S.R. 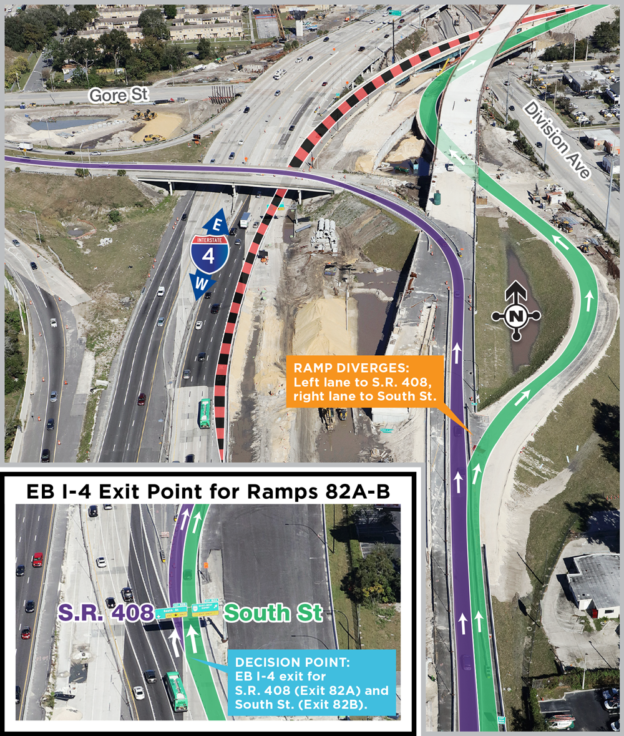 408 flyover ramp to westbound I-4 currently under construction will connect to this stub ramp. While a series of interim improvements to the I-4 and S.R. 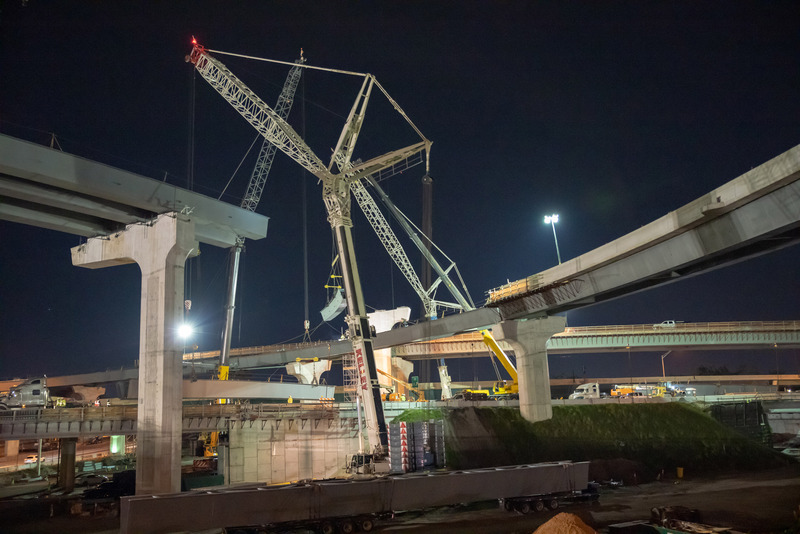 408 occurred more than a decade ago as part of the Trans4mation project, many of those changes helped lay the foundation for today’s I-4 Ultimate project. 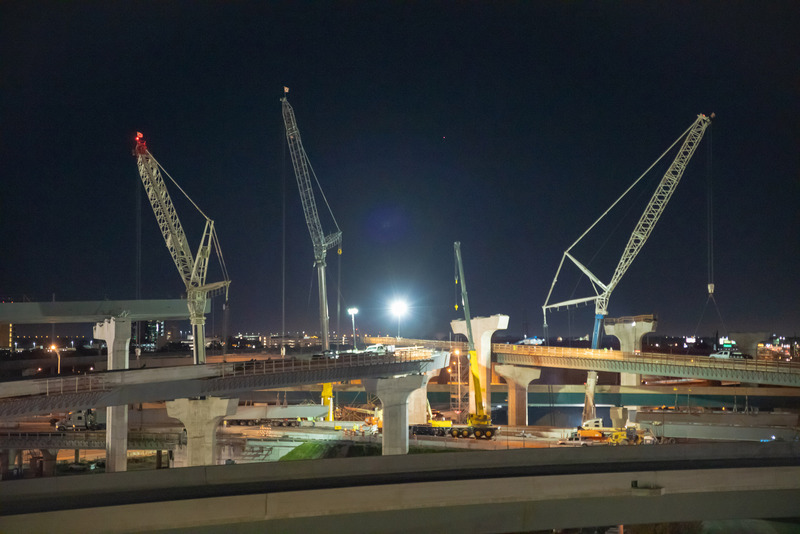 As funding became available, the I-4 Ultimate project became a reality in 2015. 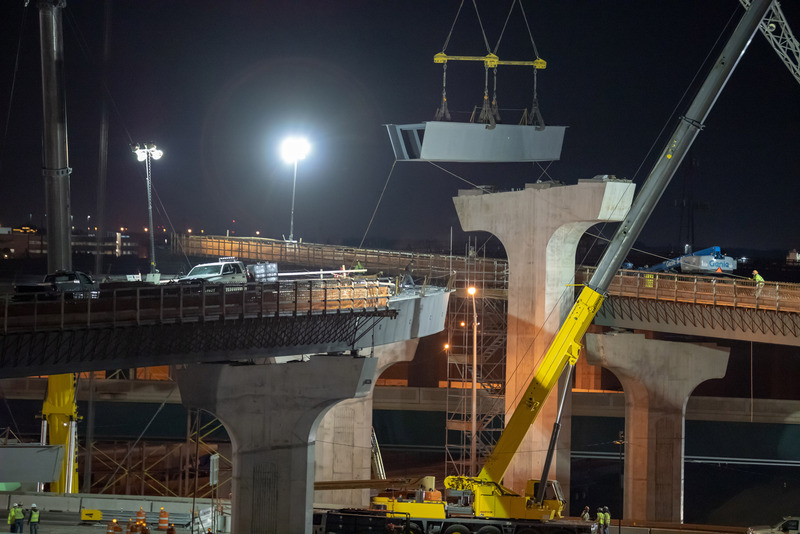 However, planning by the Florida Department of Transportation (FDOT) to improve the I-4 corridor through downtown Orlando started much earlier. 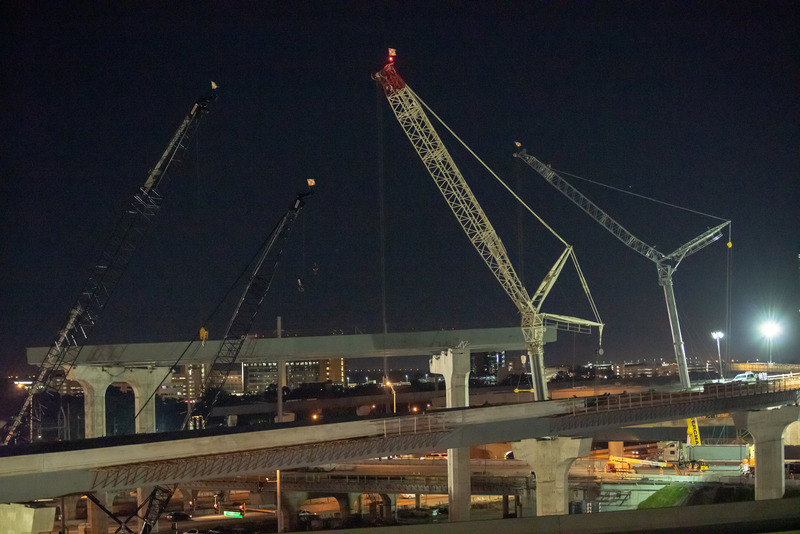 Interested in watching the progress of the new I-4 and S.R. 408 interchange? 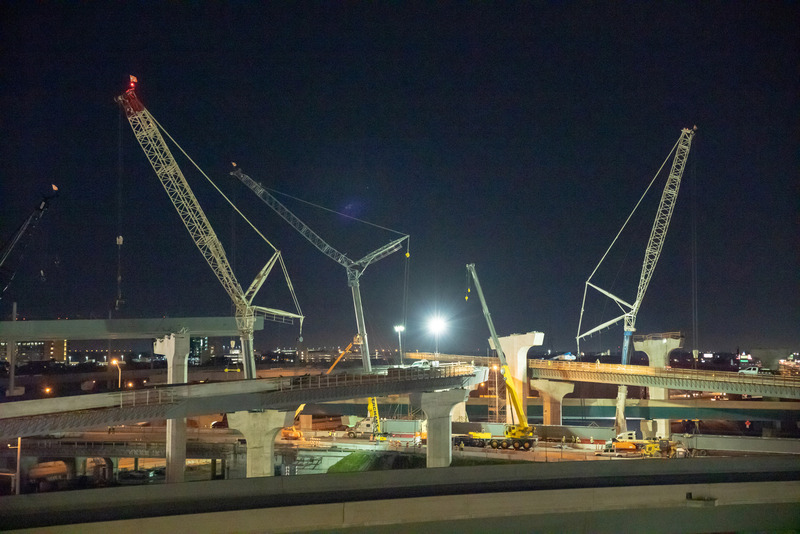 Log on to i4ultimate.com/cameras to view the live video feed of this interchange.